Borderlands fans, rejoice! The franchise beloved by millions is finally heading to next generation consoles in the form of a new bundle. Borderlands: The Handsome Collection includes Borderlands 2, Borderlands: The Pre-Sequel and a wealth of downloadable content for $59.99. These new versions feature improved graphics as well as a new four-player split-screen mode. If you’re a diehard fan with deep pockets and the luck of the Irish, you’ll no doubt be interested in the Claptrap-in-a-box edition that includes a fully-functional, remote-controlled Claptrap. This miniature replica stands nearly 11 inches tall and weighs 2.7 pounds. Much like the in-game version, it also balances on one wheel courtesy of a gyroscope. Its “eye” is lit by a color-changing LED which doubles as a camera that can stream its feed to your smartphone. In true Claptrap fashion, the robot speaks nearly two dozen phrases. Battery life is rated at just 20 minutes, however, and it’ll take roughly an hour and a half to recharge. Foregoing a standard remote, Claptrap is controlled through an app for Android and iOS and communicates via Wi-Fi. It’s rated to work at distances up to about 75 feet. I dunno about you, but this sounds much cooler than the World of Warcraft statue. 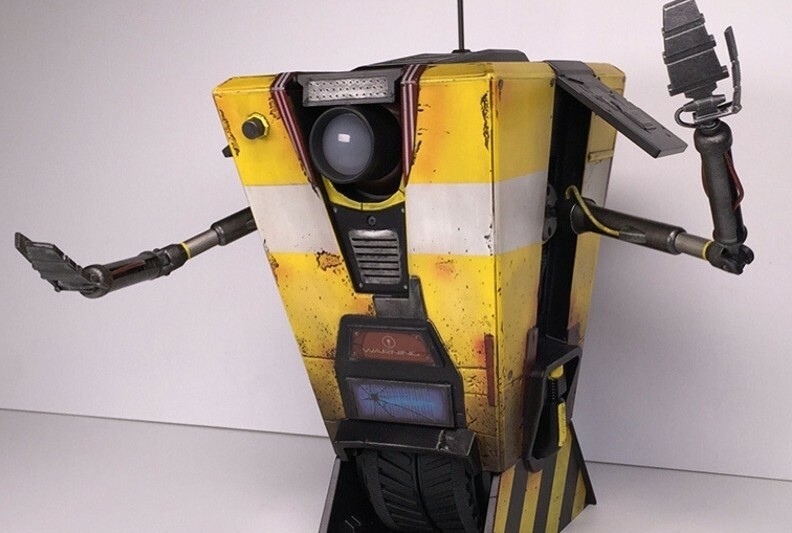 Unfortunately, only 5,000 robotic Claptraps are being created and given the popularity of the game and this character in particular, you’ll need quite a bit of luck – and $399 – to snag one. It’s available for pre-order today at select retailers. Borderlands: The Handsome Collection launches on March 24 in North America.